This beautiful blue and silver challah cover from the Gallery Alexander collection is made from terylene fabric. 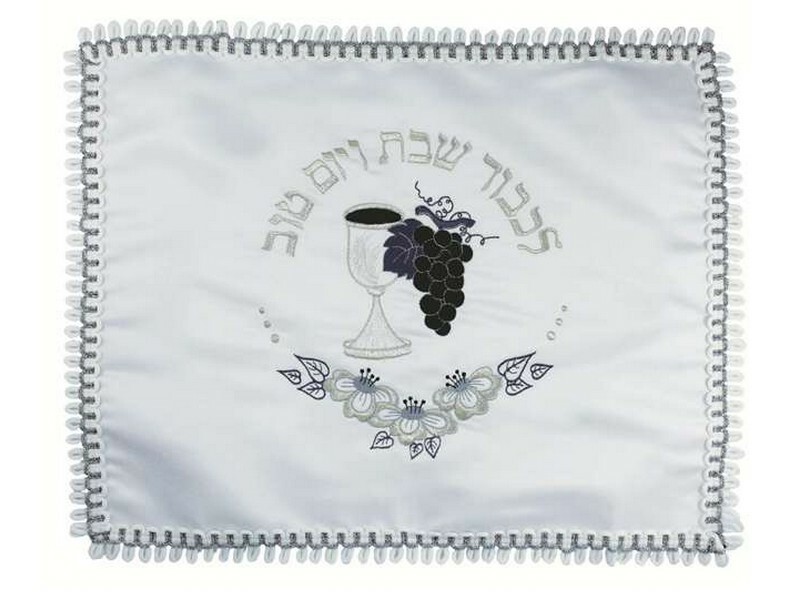 The challah cover is decorated with a kiddush cup and grape cluster. The Hebrew words “Likavod Shabbat V’Yom Tov”, which means “In honor of Shabbat and Yom Tov”, are embroidered in a semi-circle above the images. Below the images an arrangement of flowers and leaves elegantly decorate and complete the circle design.